Johnita le Roux was born as as Johnita Louw on 5 Februarie 1952 at Vlottenburg, near Stellenbosch. She grew up in Bonnievale, matriculated in Cape Town and studied at Stellenbosch University, where she obtained a BA in Afrikaans and Dutch Literature with a bursary for further studies (1972; BA Honors 1973). She worked as a journalist for Die Burger for three years. In 1976 she married Koos le Roux and they had three children, Aliza, Janci Anien and Stephan Jakobus. 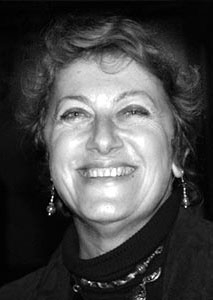 1977 - 1990: Johnita worked as translator, joined Die Stellenberger as editor, reporter and photographer for five years. She also learned to paint with oil and sold several paintings at exhibitions. Later she illustrated the bookcover of Die dagst êrwals. 1999 - 2003: gave reading and writing lessons to two grown up housemaids. Johnita is now a freelance writer (sketches for radio programmes and short stories) and a translator.